Above ground herb and root (known as ma huang gen of the E. sinica variety). Desert tea is a broom-like shrub, somewhat resembling shave grass. The jointed grooved, green stems and branches of some species reach heights of up to 7 feet, but most are smaller. 2 to 3 scalelike leaves, more or less persistent depending on the species, grow at each joint in the stem and branches. ale and female cones appear on different plants, the male featuring prominent yellow pollen sacs. Other varieties: Ma-huang (E. sinica); Joint fir (E. sinensis); (E. trifurca); (E. viridis); Somalata in Sanskrit and also called Ma huang by the Chinese (E. vulgaris); (E. equistina) from Siberia and China. Ephedra is the source of the widely used drug ephedrine. In India, the variety E. gerardiana is thought to have been the prime ingredient of soma, a potent tonic and elixir of youth. Its various species can be found in the arid areas of the Northern Hemisphere, including the deserts of the southwestern United States. The herb seems to grow best at higher altitudes and prefers rocky, alkaline soil. It needs very little moisture. E. nevadensis is known as Mormon tea because the Mormons made an herbal brew from it. The earliest record of Mormon tea appeared in the Badianus manuscript; a 1552 herbal highlighting Mexican plants. Written by an Aztec medicine man, the book was translated into Latin and the original copy today resides in the Vatican. Known to early settlers of the American West as “squaw tea”, and was an excellent substitute for coffee or regular tea. The early pioneers brewed this tea and mixed the powder of pinon pine sap to concoct a salve to soothe open sores on humans and animals alike. Mormon tea works similarly to ma huang but is less strong. There is a significant difference in stimulating properties between the Oriental ephedra, ma huang, and the American variety which has little or no ephedrine alkaloids. The more stimulating Chinese ma huang contains plant forms of adrenaline, ephedrine and nor-ephedrine. Ma huang is the Emperor or principal therapeutic herb for the Chinese. 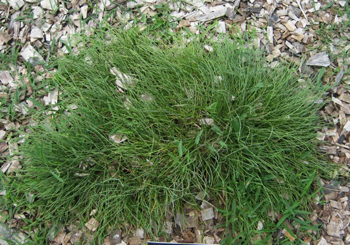 Ma-huang (E. sinica) is a Chinese species of ephedra which has been used in China for over 2,000 years to treat headache, colds, fevers, and skin eruptions. It contains a potent alkaloid, ephedrine, which is present only minutely in other species. Used medicinally for colds, asthma, and hay fever. Native Americans added Mormon tea to their treatment of venereal diseases. The alkaloid ephedrine, extracted from the ephedra, was first identified by Chinese scientists in 1924; 2 years later the pharmaceutical company Merck produced a synthetic version, still used to treat asthma. Today, compounds derived from ephedra are commonly found in many over-the-counter cold and allergy medications. Commonly taken as a pleasant beverage. Can be used as a remedy for kidney and bladder problems, colds, flu, asthma, headaches, hayfever, allergies, hives, rheumatism, lung problems, water retention. Native Americans of the southwest drink a decoction several times a day to relieve kidney pain or to treat a fever. Native Americans used it, both internally and externally, to treat syphilis and mucous discharges. Early pioneers considered desert tea a good blood purifier. Delicious and unusual flavor, good aroma. The ephedra root is used to treat diarrhea, sweating, night sweats, and postpartum sweating. Recipe for Mormon tea: pour a cup of boiling water over about a tbsp. dried stems and allow to steep for at least 5 minutes. If using fresh stems, be more generous, as fresh tea is not as concentrated as the dried form. Strain and sweeten with honey to taste. A cure-all or not, Mormon tea is a pleasantly refreshing beverage. Early Mexicans called the stems “canutillo”, meaning little tubes and pipes. For Chinese ma huang 2-6 grams in decoction; for Western ephedra, 4-12 grams, and of Western ephedra root, 6-15 grams. Capsules: 1 capsule for up to 3 times daily to relieve stuffy nose, watery eyes, and other cold and allergy symptoms. Ephedra teas and other commercially prepared cold remedies are sold in health food and herb stores. Ephedra is a long-acting stimulant. American ephedra, known as Mormon tea or desert tea, is much milder than the Chinese variety (E. sinica) and is used in a similar fashion. Ma huang (E. sinica) is used in many natural cold remedies. People with high blood pressure, heart disease, diabetes, or thyroid disease should not use any of the ephedra species. Or use under strict supervision with a doctor. Do not exceed recommended dose. Check with the doctor before using any ephedra preparations if you are pregnant or nursing.